I built myself a 40h using the sparkfun-buttons and ready-made pcbs by Bibo. The case was a problem though. 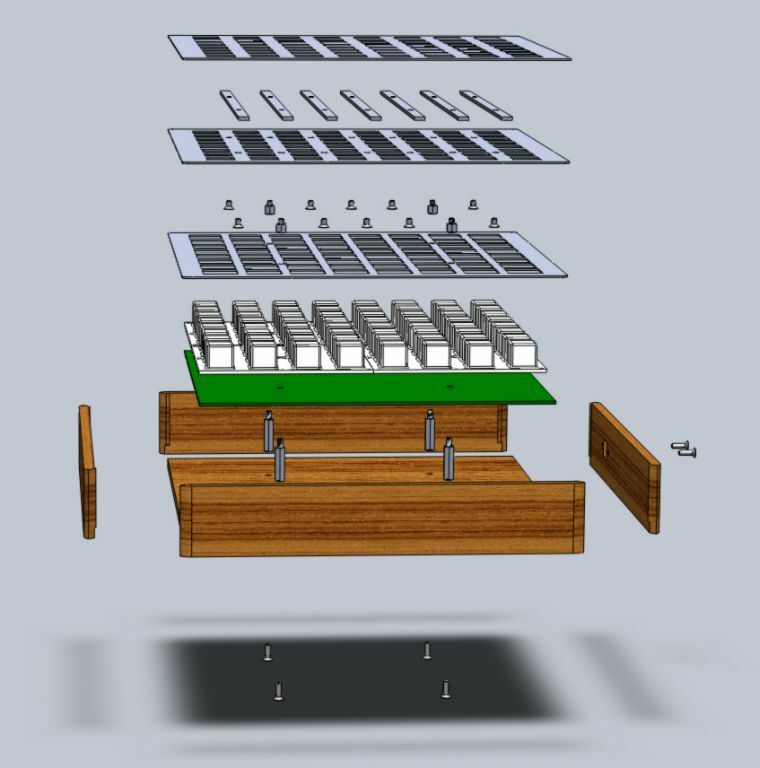 I've created a 3d model in SolidWorks to design the parts. Milled aluminium faceplates are expensive, so i designed a sandwich faceplate out of three laser-cut steel sheets. See the pictures below. 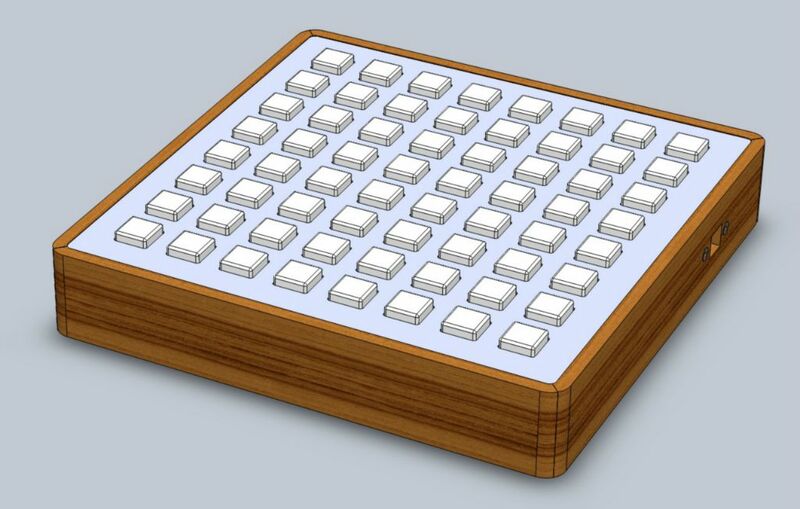 The construction is pretty simple: The pcb and the bottom sheet hold the rubber button pads in a sandwich-like manner. The middle sheet is put on top via 5mm spacers. Seven 2mm thick aluminium plates with screw threads are glued under the top sheet. This construction allows for a blank faceplate without visible mounting screws, yet it provides a screw thread to be fixed. The complete construction can be mounted from the back of the wooden case via 20mm spacers. 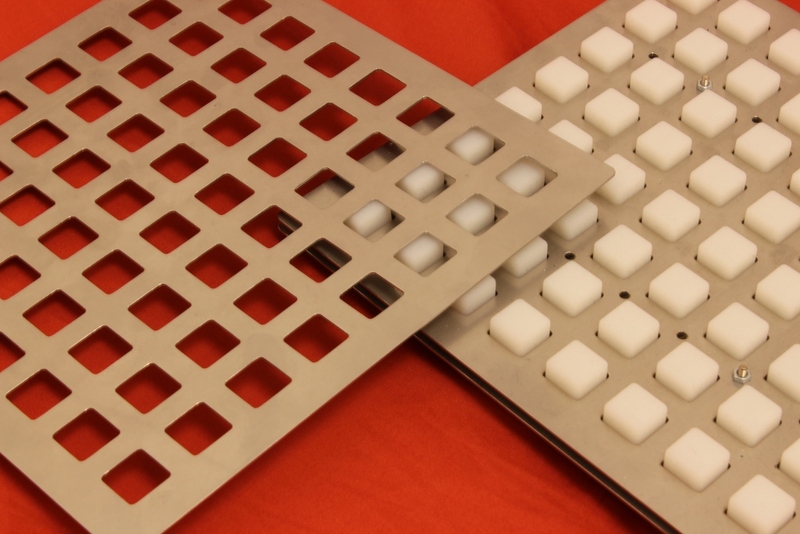 The cost for these 1mm sheets is very low, compared to a milled faceplate. The 7 aluminium plates can be made at home, however, you will need a thread cutter for this. The spacers (5mm and 20mm) can be bought at almost any electronics shop, I got mine from Reichelt. The wooden case is a bit complicated to build. I tried to find an easy version, still you will need router and a very tiny milling head. The look of the "real" monomes has taken a shine to me and becourse this device is all about perfection, I could not resist to have one with rounded corners. You can leave out the rounded corners and it will become an easy task. I haven't finished my case yet, but I'll keep you updated about the building process. 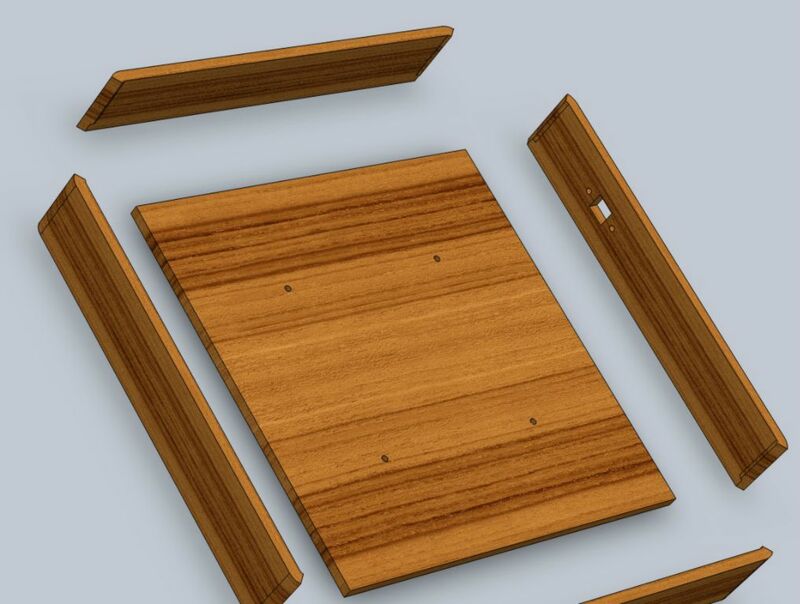 Received the steel sheets and got an idea, where to get american walnut wood (it's darker that the european walnut) for the enclosure. The steel sheets fit perfectly, still I need to cut the aluminium plates and find a good metal glue.